It's cold enough in Georgia for a jacket today! To mark this occasion, I decided to take down this forsythia that has been hanging above our front door since April. 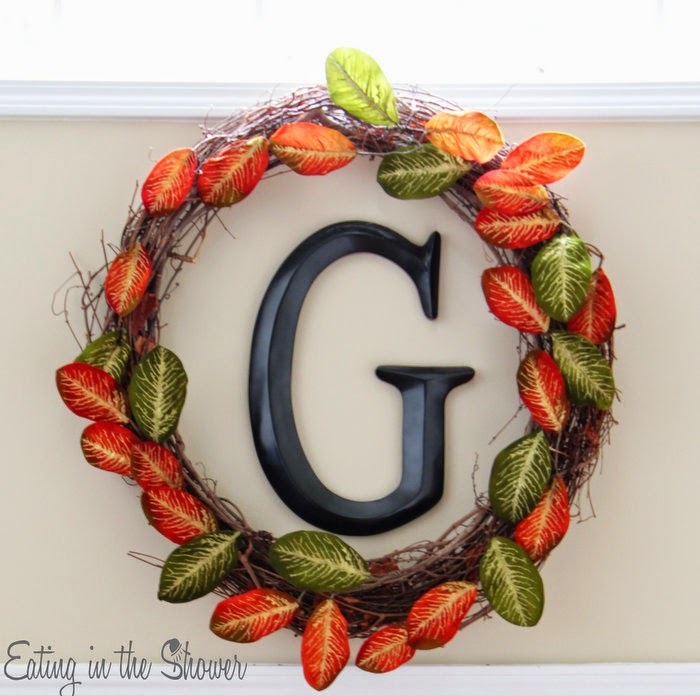 The grapevine that hangs around our giant letter 'G' makes for an easy to change with the seasons wreath. 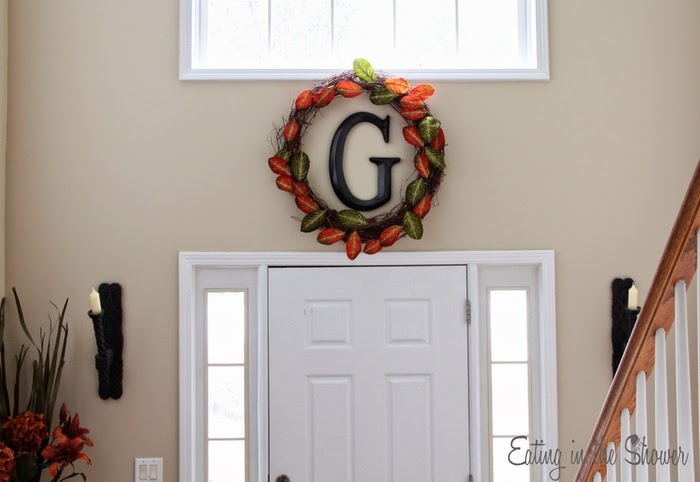 Using seasonal garlands, it's super fast and simple to change the look. 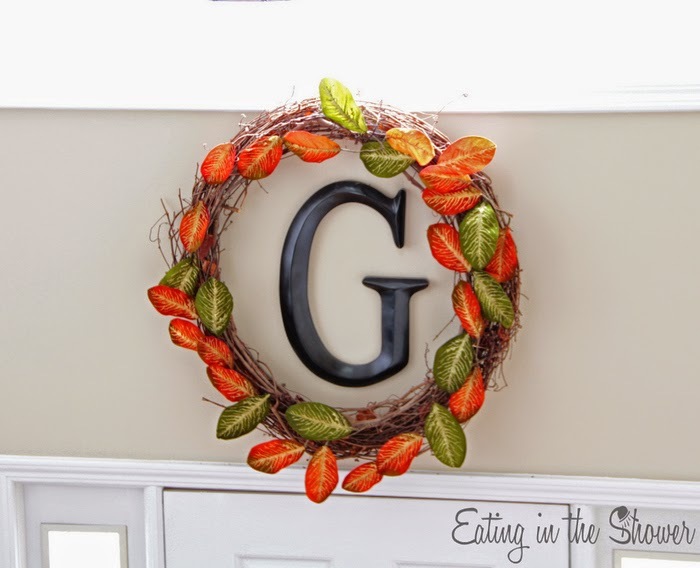 I used an orange and green leaves garland that I've had for a few years and just wove and wrapped it through the sticks in the grapevine wreath to make the spring/summer G more season appropriate. The autumn leaves look great with the orange and brown flowers on the corner table and it's a nice change from the bright yellow! I could shape and move the leaves around for an hour until I was satisfied with their arrangement but obviously that's not possible so for now, I'm happy with it just the way it is.